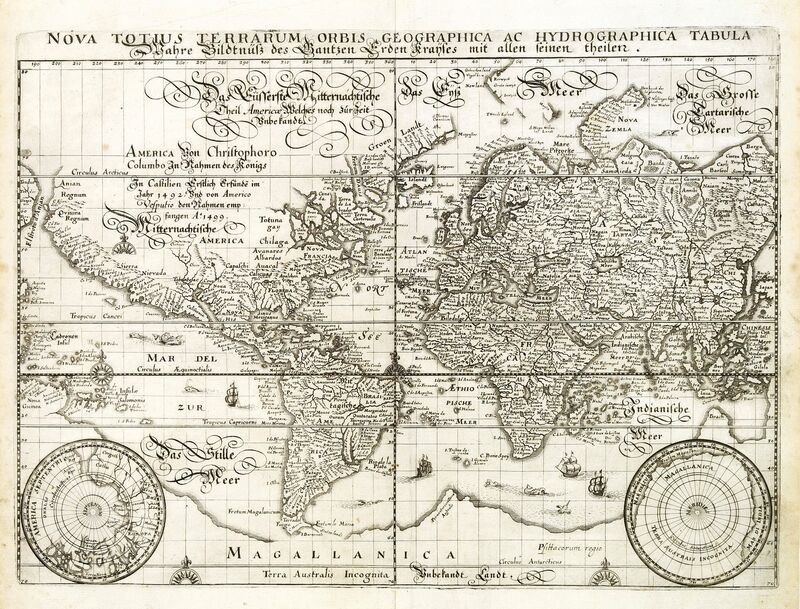 Old map by MERIAN -Nova totius terrarum orbis geographica ac hydrographica.. 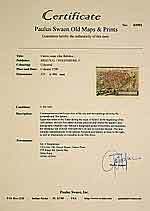 Title: Nova totius terrarum orbis geographica ac hydrographica.. Size: 10.1 x 13.9 inches. Condition: In very good condition. Repair of tear in lower margin, not affecting engraved area. Dark impression. A reduced version of Blaeu's world map lacking the decorative borders. The engraving is neatly executed, with Germanic touches to the lettering, and the Latin title is repeated in gothic German script below. Korea is shown as an Island, Japan is shown in an early primitive model and the image of the Philippines is dramatically oversized.